Spring has come to Rocky Mountain National Park and the Bierstadt Moraine just below Bierstadt Lake. 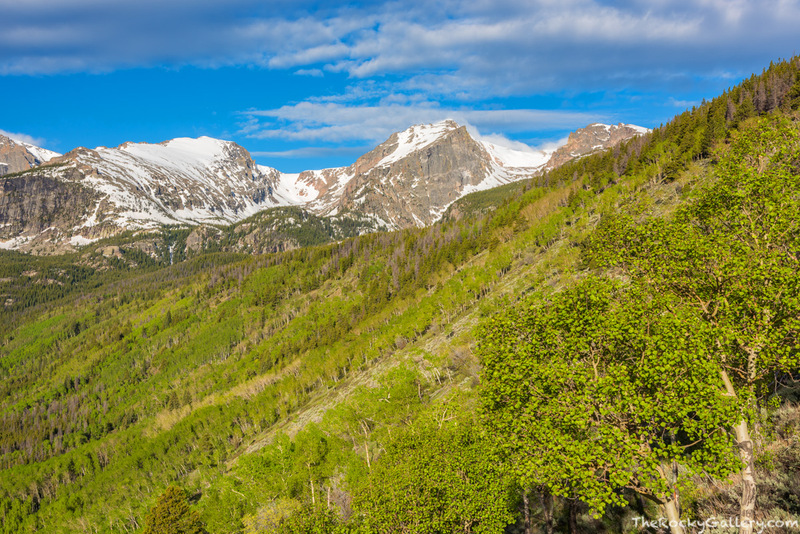 The hillsides of aspens along the Bierstadt Moraine are a vibrant green while Otis, Hallett and Flattop Mountain are still adorned in snow from the previous winter season. Photo © copyright by Thomas Mangan.